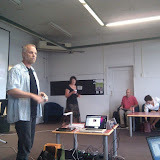 We had a three day workshop for eLearning Community Coordinators last week. It was a full on three days with a lot of us looking exhausted at the end of each day, but a really enjoyable and worthwhile event. There seemed to be something for everyone and it didn’t matter if you were a technology whizz or beginner, had a thriving elearning community in your department or if it was early days, everyone was learning new things and getting reinvigorated for jumping in with both feet this year. There was lots of talking with other eLCCs and sharing which was fantastic to see. The absolute highlight for me was the eLCC show and tell time where quite a number of eLCCs took the stage and showed the peers something they are doing in the elearning space. 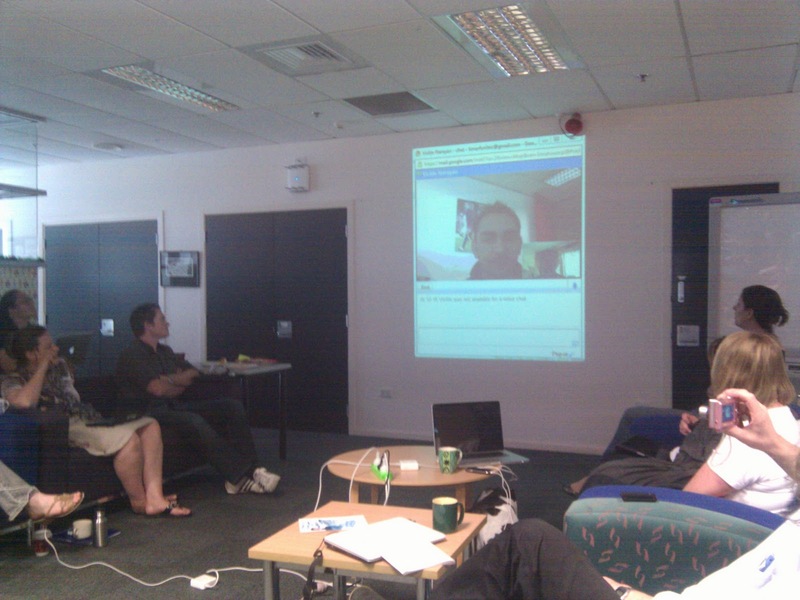 Each eLCC really did offer something quite different too, with Chris talking about making his first movie with his phone and iMovie (thanks for the offer to help others Chris) and Ganeshan talking about how he used self directed blended learning to learn wind surfing (giving his perspective as the learner). The only disappointing thing in the whole three days for me was the invited people who did not come and show their support of eLCCs and the eLearning strategy. It was great to see Ray and Peter there and I hope to catch up with them to get their feedback. The eLCCs who attended seemed to get a lot of out this time together and the feedback has been positive. One of my personal aims this year is to help eLCCs build confidence and their perceptions of their capabilities and I think these three days were a good step in this direction. I am going on maternity leave in June and I am hoping the eLCCs can support each other more this year so they are stronger as a community and can improve their ability to find resolutions amongst themselves, relying less on the elearning team and eLDAs. If they can do this, they will be in a better position next year when the funded positions supporting the eLearning strategy end. Today is the first day of our eLearning Community Coordinators workshop at Unitec. Our plan is for three days together. Last year we had five days together in February to kickstart our community and to start implementing our elearning strategy across the institute. One year on, it is an opportunity to move into a new phase as a community. We have had some exposure to some elearning initiatives and have now the task of working out how to progress from here. I hope that our next phase is on developing our sense of community and how we support each other. I would like us to work on changing our own perceptions of ourselves so we feel more confident and capable of trying new things. More on that later. So we opened the workshop with a karakia. All our minds are still on Christchurch and the earthquake so it was important to recognise this and offer our prayers and thoughts to those impacted. We gave everyone an ipad and spent a couple of hours trying out different applications, getting everyone trying twitter and using #elcc11 as a hashtag for this event. After lunch we are just starting to talk about communities of practice. 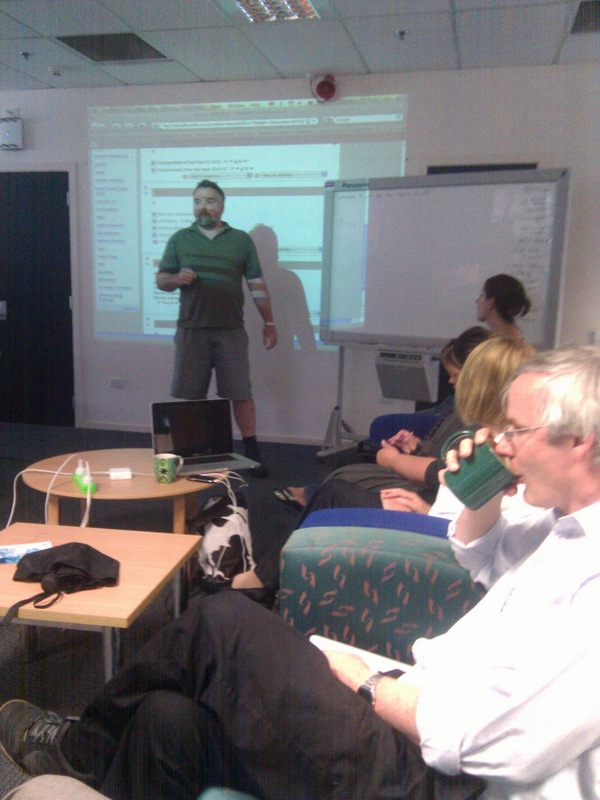 Today we had a mini symposium for our eLearning Community Coordinators at Te Puna Ako. Brett “Merf” Murphy was a personal highlight of this mini symposium as he shared his own personal recognition of his learning journey this year throughout this year as a participant of the “Social Learning Technologies” course. Merf also shared what happened in his own classroom teaching his students and changes he is seeing now he has discovered constructivism.